If there's one thing that I can't get enough of, it's hot sauce. And I like my hot sauce, really, really hot! Meet my latest obsession which I've been pouring onto almost everything; Memento Mori Habanero Pepper Sauce. Fellow chili lovers will know that the independent hot sauce scene in the UK is booming right now, and you can find all sorts of homemade fiery delights from every corner of the country. 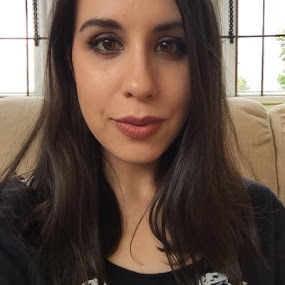 Someone, somewhere, is always experimenting with a new chili sauce recipe, so the best places to find them are generally not in your local Tesco, but online. So much so, that my cupboard and fridge are full of hot sauces from artisan producers that I've found via social media, and my newest discovery is from Memento Mori. The brand reached out to me and asked if I'd like to try their hot sauce, and when I saw the bottle, I instantly said yes! 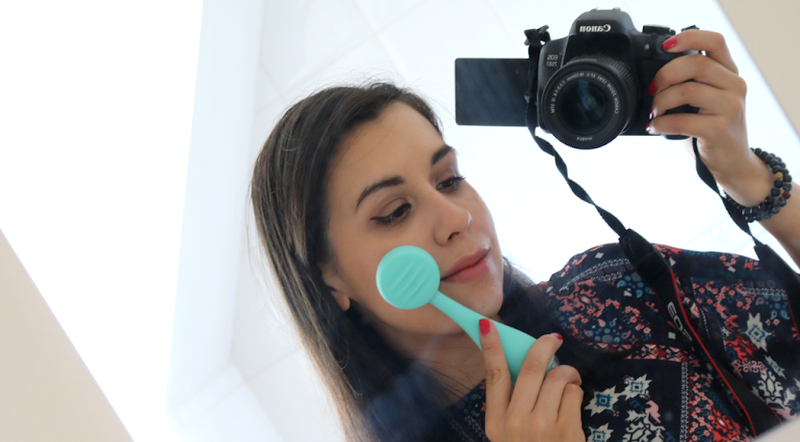 I mean, how cool does it look?! From the small chunky glass bottle, to the label design and the cork top complete with a red wax seal featuring a skull, Memento Mori immediately grabbed my attention and I couldn't wait to try it when it arrived. 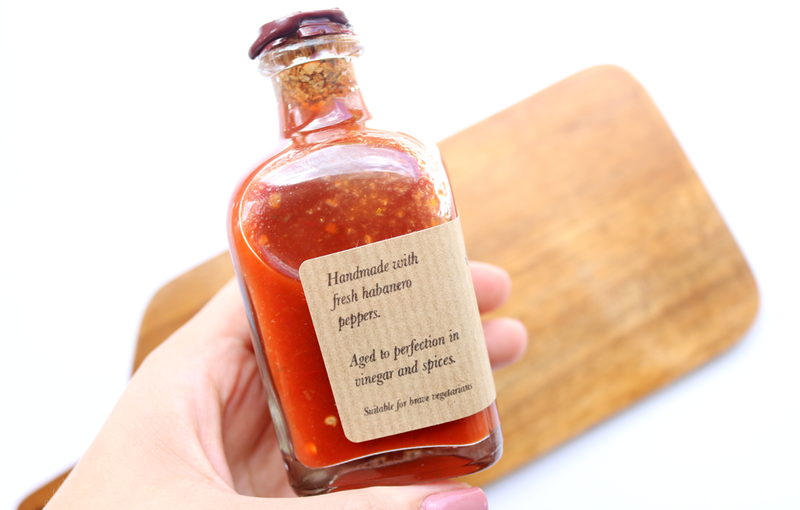 Their Habanero Pepper Hot Sauce is a seriously hot blend of fresh Habanero Peppers, Vinegar, and Spices, and each batch is handmade in Crouch End, North London. This sauce really packs a punch in both the flavour and heat department, and it will certainly add a fiery kick to any meal! 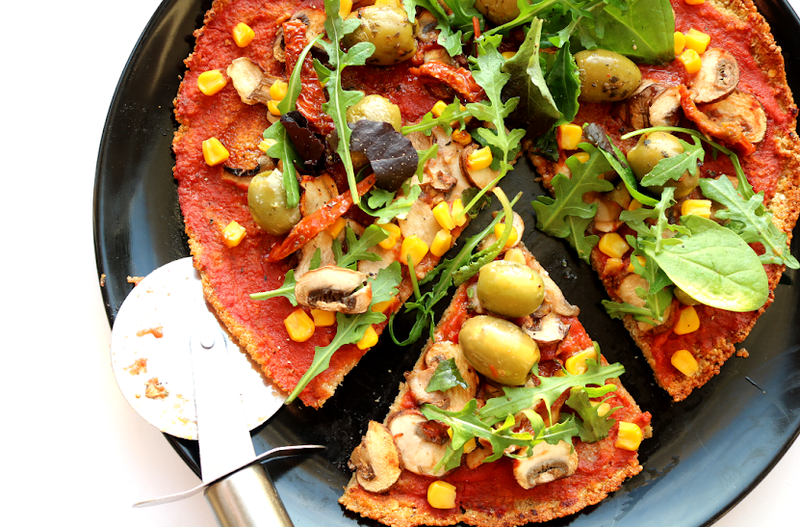 I love how fresh it tastes and you only need to use a few drops to liven up your food. 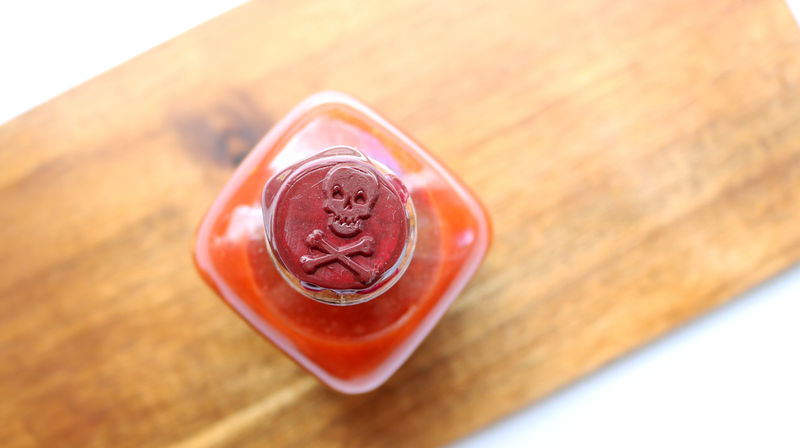 Below, I've shared five ways that I've been recently using Memento Mori Habanero Hot Sauce, but the options are endless as it's such a versatile condiment to have in your cupboard! 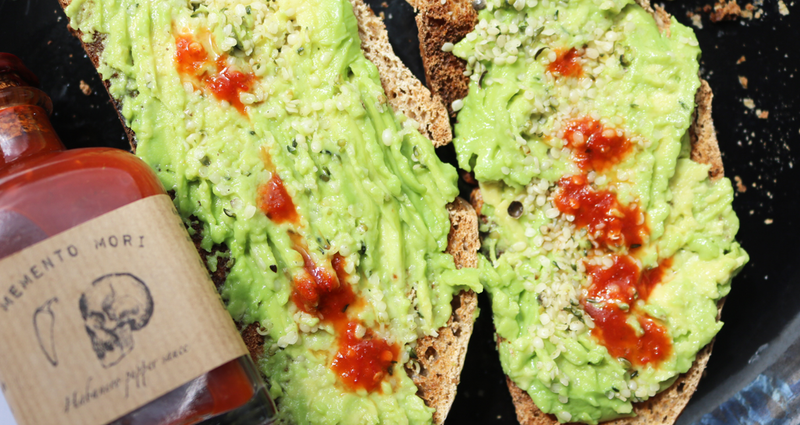 My Superfood Avocado On Sourdough Toast recipe has been one of my most viewed posts this month, so if you're an avo fan and you love hot sauce, why not combine the two?! If only everything in life was this simple to figure out! 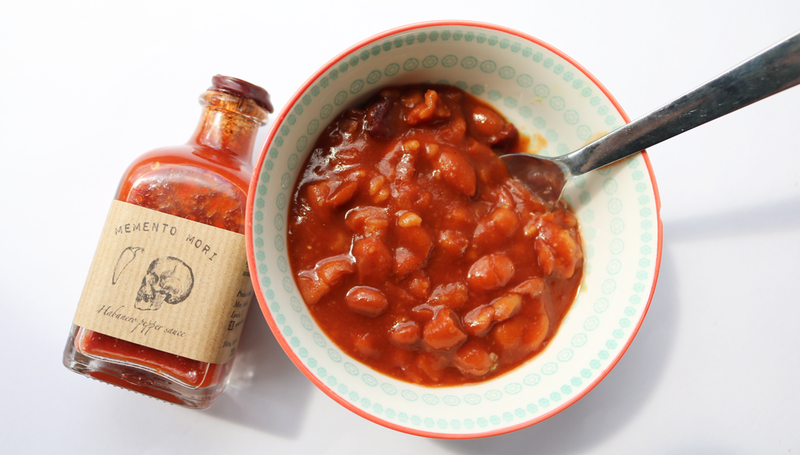 Whether you like your beans from Heinz or enjoy making your own version like I have above, a few drops of hot sauce will add some pleasant heat for a super tasty side dish. 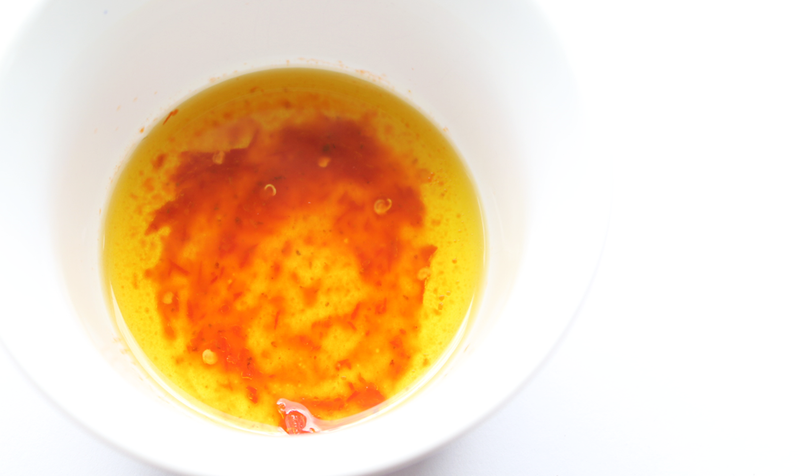 This Chili Infused Dipping Oil idea was recommended to me by Memento Mori who suggest using two parts Extra Virgin Olive Oil to 1 part Memento Mori Hot Sauce for a delicious dipping oil that you can use with crusty chunks of fresh bread. Yum! 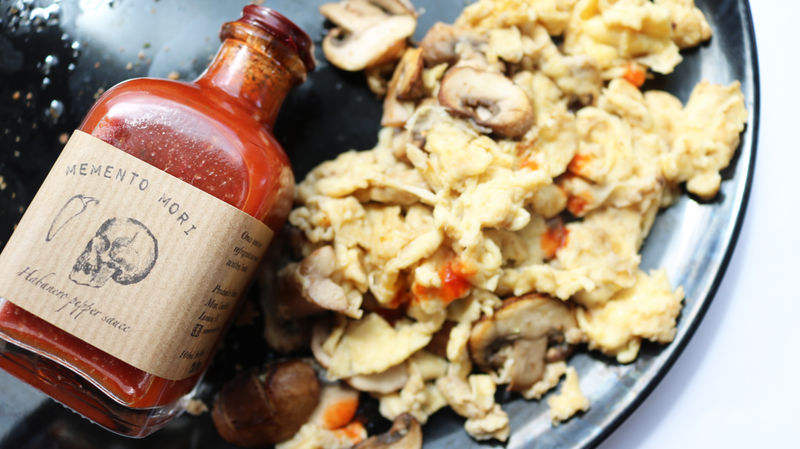 Spice up your breakfast with a splash of hot sauce over scrambled eggs, or any eggs for that matter - it works just as well with poached and fried - whichever way you like them! 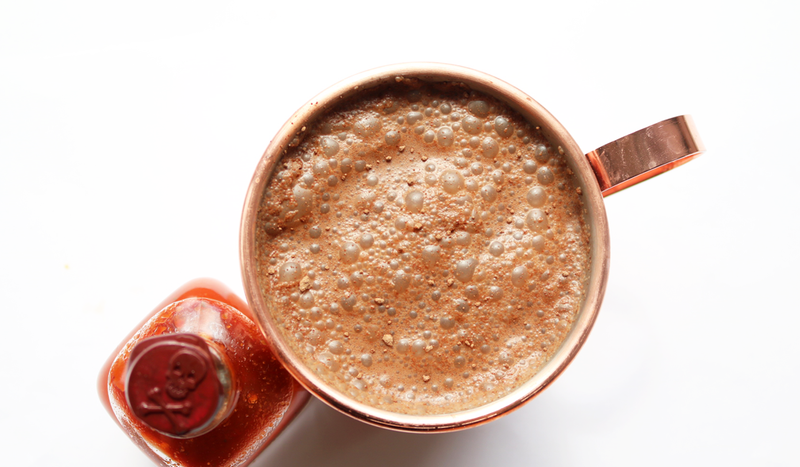 If you're feeling particularly adventurous, try adding some hot sauce to an Aztec or Mexican Hot Chocolate instead of using chili powder. The sauce will mix even better with the liquid hot chocolate and you'll get that amazing chili and chocolate flavour coming through. Why not try it with my Aztec Hot Chocolate recipe? 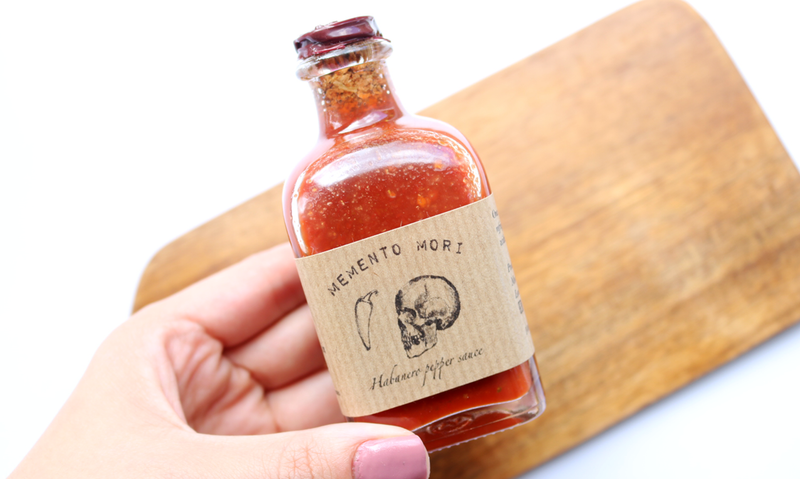 Memento Mori Habanero Pepper Sauce* is available to order via the brand's Facebook here. Are you a fan of hot sauce?